Oooooh I am so excited..!! My lovely friends got me MAC vouchers for my birthday...what to get, what to get? I KNOW!!!.... Limited edition Zandra Rhodes eyeshadow compact. Look how pretty. I am getting a bit concerned as they said it would available at MAC online, but it's not eeeek. Better get myself down to Harrods. 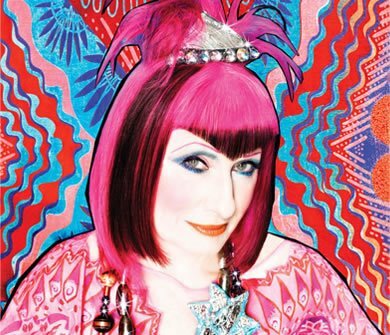 Synonymous for her use of colour and print, Zandra Rhodes was a perfect choice for a collaboration with MAC. Whilst at MAC I may even check out the Zandra Lipstick.. Now get out of my way, I have vouchers to spend! !